Daiana’s social media expertise covers research, strategy, copywriting, execution and analytics. As part of her job, she has carried out social media projects in a variety of countries, from Spain to Mexico, to Saudi Arabia, and has worked with social media platforms like Twitter, Facebook, LinkedIn, Google+, Naver and Pinterest. 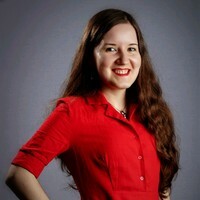 Daiana can also speak five languages, loves to blog in her spare time and has a background in journalism, which has helped her pay particular attention to the quality of the content and imagery used in social media campaigns.